Do you like contests? How about really good contests where we give away multiple items in a 30 minute window? Well, we are going to do just that. SET YOUR ALARM, because you are not going to want to miss this with THP going live. The above image has all of the details and in that THP Live time slot we are going to give away a minimum of 3 prizes including some fun golf equipment. Tune in on the THP TV YouTube Channel at www.youtube.com/THPGolf at the appropriate time and join in on the fun live with THPers at Top Golf and win some contests for some seriously awesome golf gear. BOOM! 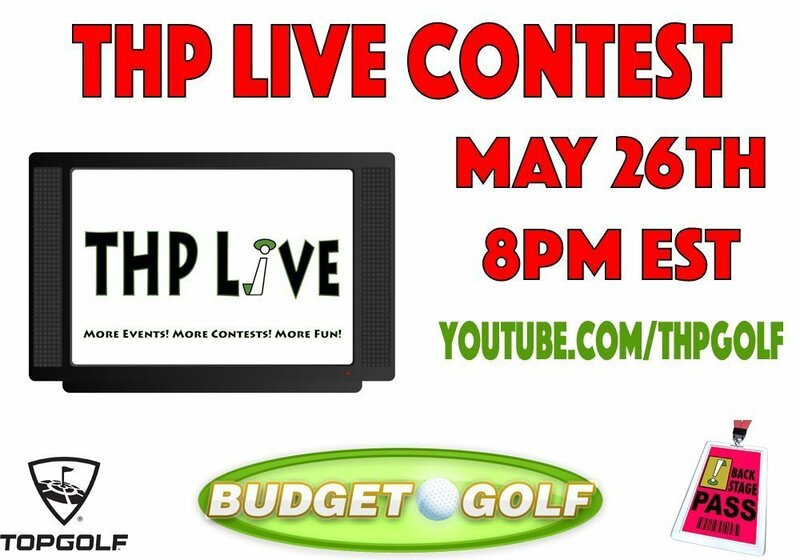 This is going to be exciting THP, Budget Golf, Golf Unfiltered, Top Golf, Prizes! What more can you ask for? And the hits just keep right on coming. Keep up the fantastic work THP, you guys (and girl) nail it everytime! Sweet! Fun use of Youtube Live as well! Almost time. This is going to be great.